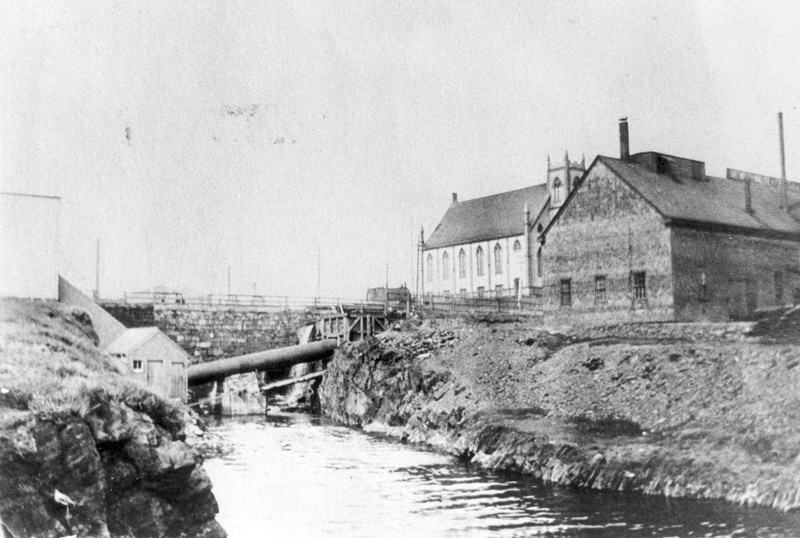 As you walk along Prince Albert Road, imagine what it would have been like in the 1860's when the Canal was operating. Life-size replicas of all of the components of the Marine Rail system have been rebuilt. If you look up the incline along the iron rails you will see a replica of the wooden cradle which would have transported the vessels up and down the plane between the Harbour and the pond. Imagine a man on the Cradle standing beside the wooden hut looking toward the Flume House where another person would be standing ready to pass on instructions. It would take about 10 minutes for the journey from the Harbour to Sullivans Pond. In addition to the man in the Flume House observing the Cradle, there would be another man who would operate the gears which in turn controlled the turning of the winding drum on which the steel cable was wound. Occasionally, boats in the Harbour would be pulled out the water on the Cradle to carry out repairs. Stop by the Flume House where you will see information panels which provide details about the operation of the Marine Railway. Then walk over to the Cradle to get a closer look. The rails are located on top of the original incline. This area was carefully examined by an Archaeologist who oversaw the design and reconstruction of the system. Another interesting feature is that the east and west stone walls of the Turbine Chamber were originally parts of the walls of Lock #3 during the first construction period (1826-1831). Now make your way along the pathway to Sullivans Pond to see where the Cradle entered the water. Remember that prior to the Canal there was no Pond. It was excavated by the Canal workers under the supervision of a man named “Sullivan”. Under the grassy bank at the south end of the pond, there is a stone dam which served to maintain the necessary depth of water. When this dam was first constructed in the late 1820s its purpose was to hold sufficient water to fill the five locks which ran down to the Harbour. During the operating period of the Canal, boats coming to the Pond from Lake Banook would be floated on to the Cradle in Sullivans Pond and would then be carried from the Pond to the Harbour. 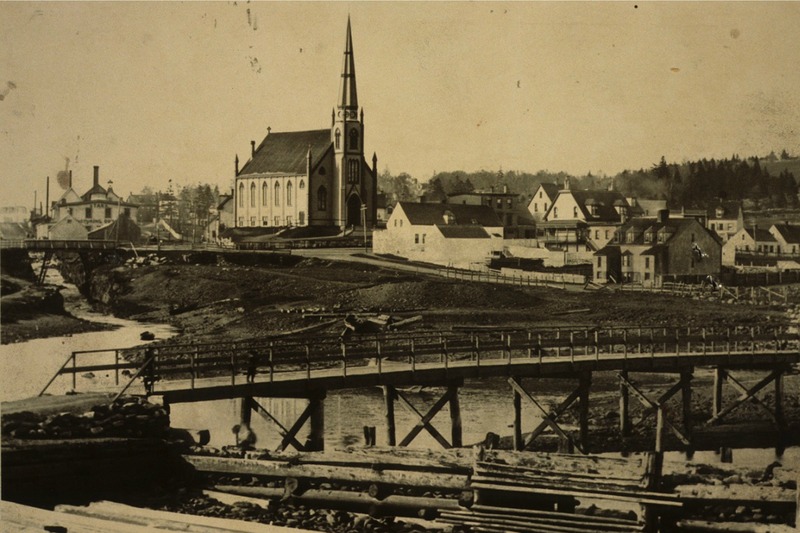 The two stone pylons you see at the north end of the Pond were intended as guides to indicate the location of the channel to Lock 1 and Lake Banook. The original plan was to have about 19 of these features along the entire Canal and a number of these can still be seen today.